If shipping shows on your MP3 order, please contact me before ordering. I will send a correct invoice for your payment. There is no shipping charges on the MP3. $5.95 shipping on DVD & CD +Texas tax of 8.25% if applicable. Note: Your credit card or paypal account will be charged the day of purchase and thank you. Pictures are NOT actual size. See top photo for size images. Select which size and Essence from the Egyptian Collection listed in the buttons drop down menus below. Select which size and Essence from the Romance True Love Collection listed in the buttons drop down menus below. Your choice of Lavender, Rose, Jasmine and/or Lotus Flower. Each Essence is an individual plastic bag with information card about the Essence and the Himalayan bath salts. The organza mesh pouch is approx 4-1/2" X 6" and can fit up to three Essence bags. Exquisite blend of Essences including Jasmine, Lavender, Rose, Sandalwood and Blue Lotus for smooth, soft and firmer skin. It's location is at the base of the spine and governs the physical dimension by helping to keep you grounded and feeling safe and secure. It also is the center for that "fight or flight" feeling and if it's balanced properly the grounding, safe, secure feeling overcome you feeling of fight or flight fear. It vibrates as your adrenal glands and governs the kidneys and spinal column since the spine is your body's grounding, secure element to which it connects. The Egyptian Essence for this Chakra is Amber which is calming and grounding. It can release hidden powers from deep inside ourselves. 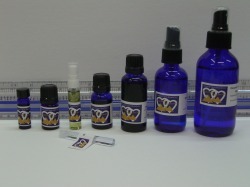 Part of the Care and Cure Collection. 2nd Chakra - the major color vibration is Orange. The sacral chakra. It's located about an inch and a half above the 1st chakra, the coccyx or root chakra, which is at the base of the spine. This is the chakra for creativity in all forms, open-mindedness, receptivity to new ideas and divine inspirations. It is the center that governs attitudes in relationships, your sexual energy and reproduction or procreation. The Egyptian essence for this chakra is Musk which clears any blockages through your sexual organs and reproductive creative centers. 3rd Chakra - the major color vibration is Yellow. It's located opposite the navel in the astral spine, between the navel and the rib cage. This is the chakra that holds your center of personal power, will and confidence. Physically, it directly affects the 8th thoracic vertebrae and governs the digestive system, adrenals, stomach, liver and gall bladder. You could say that the solar plexus is the organizing brain of our nervous system. 4th Chakra - the major color vibration is Green. It's located in the center of your chest. This is the chakra from where you feel love. It externalizes as the thymus gland and governs the circulatory system, your blood and heart. It also influences the immune and endocrine systems. This is the vortex that experiences and expresses love, devotion, divine love, unconditional love and compassion. The pure Egyptian essence for the 4th Chakra is Attar of Rose, white rose. The Egyptian Attar of Rose is calming, instills optimism and is very good for your emotions and of course, the essence of love. 5th Chakra - the major color vibration is Blue. It's located in the throat area of your neck. This is the Chakra that holds your center of personal power, will and confidence. It externalizes as the thyroid gland and governs the lungs, vocal cords, bronchial tubes, oral communication and your metabolism. This is the vortex that helps you in expression of your true self, communication and judgment. Egyptian Lavender is relaxing for the nerves and muscles, encourages rejuvenation and clarity, and relieves tension headaches. It also is very good for the skin. Lavender with Royal Amber is part of the Care and Cure Collection. 6th Chakra - the major color vibration is Indigo. It's located in the center of the forehead. Physically, it directly effects the pituitary gland. This is the Chakra that governs the lower brain, nervous system, ears, nose and the left eye. It's the vortex center that helps us to consider our spiritual nature, and gives us our experiences with intuition, psychic talents, self-reflection, visualization, imagination, perception and discernment. The pure Egyptian essence for the 6th Chakra is Sandalwood Blend. Egyptian Sandalwood is light in color and clear. It promotes inspiration and relaxation, develops wisdom and aids deep meditation. 7th Chakra - the major color vibration is Violet. It's located at the very top of your head. Physically it effects the pineal gland. This is the chakra that governs the upper part of your brain and your right eye. It influences your experience with charity, connection to God and spirit, belief systems, revelation and divine consciousness. 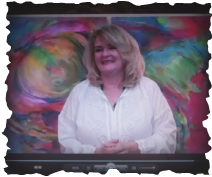 This is the vortex that helps you ultimately reach the feeling of integration with God. The pure Egyptian essence for the 7th Chakra is Lotus. Egyptian Lotus (white) is the symbol of enlightenment and an aid to meditation. It can also be used to help breathing problems. Lotus Flower is part of the Care and Cure Collection. 8th Chakra - the major color vibration is White. It's located in the ether above your head. This is the energy vortex that aligns all 5 of your bodies to keep you into balance and harmony with your higher self. Bet you didn't know you had 5 bodies, everyone has. The pure Egyptian essence for the 8th Chakra is Blue Lotus. The Rare Egyptian Blue Lotus has similar properties to white lotus but much more powerful and activates the 8th chakra. It also has a calming and easing effect on dogs. 9th Chakra - Major color vibration is Pale Lavender with Pink. Combination of tree, herbs and flowers with a touch of Saffron flowers. Special to use - connects the 3rd eye and the sense of "I Am Me." 10 Chakra - Major color vibration is Almond with Earth tones. Combination of tree, herbs and flowers with a touch of Royal Amber with Sandalwood and White Musk. Deeply connects to the energy of the Earth. Use at the bottoms of your feet. 25 flowers mixed with Saffron. Queen Cleopatra wore her fragrance on her knees so when the people bowed to her, they would smell the beautiful scent. Jasmine, Orange and White Musk. Jasmine for relaxation for the body, orange for vitamine for soft skin, and white musk for soft, fresh, clean smell. Similar to King Ramses but just a little lighter scent. Made from flowers and herbs. 55 flowers - stronger, fresh, clean - great for evening or anytime. You can feel this working immediately. Helps with sinus, allergies, asthma, virus, colds, and headaches. Opens breathing channels The steam and vapor will kill bacteria and disinfect. It cleans the sinus, and helps relieve headaches. It’s wonderful to use before mediation to help clear you. The vibration from this essence helps with any sleep problems and to stop snoring. It also helps to prevent the destruction of the body’s normal antibiotics from consistent use of air-conditioning and helps to clean your body of air pollutants. Strong, clean, fresh, minty aroma, rich antioxidant, helps support the respiratory and nervous systems, highly regarded for ease of digestion and can help open and release emotional blocks leading to a sense of balance and well-being. Studies have proved its supportive effect on the liver and respiratory systems; it’s abilities to improve concentration and mental sharpness. and to improving taste and smell when inhaled, It’s said to directly affect the brain's satiety center, which triggers a sensation of fullness after meals. One of the oldest and most sought after essence for its amazing results. Egyptian Sandalwood is white. The wood comes from India but it's squeezed in Egypt to get the purest essence form. India will mix it with oil so color is different.- Sandalwood contains Vitamins a and B and collagen - can be used as a mini-face lift and for pregnancy mask, stretch marks, brown spots, dark circles. Use 10 days to two weeks to see remarkable results. Just place a few drops in water and apply on face or other areas. Very powerful. Used to remove bad energy. – After bath use as deodorant – will kill bacteria and stops odor for up to 4 days. For upset stomach rub right and left and circle in the navel then hold for a while with deep breathing. Place 3 drops in warm water to use for good feminine hygiene practices. Helps with headaches, insomnia, snoring, stress, thinking too much, memory and with Alzheimer. Place drop on first fingers of each hand. Breathe in deeply and gently 3 minutes with eyes closed then.rub fingers at temples for 2 – 3 minutes. Headache usually gone in 5 minutes. For-snoring and insomnia place 5 drops in water and mist over pillow. Can be deeply asleep as fast as 10 minutes. Helps to refresh your body, open pores to remove microbes and bacteria. Uses: As Fragrance; Burn in Candle burner; In shower or bath - Men’s aftershave 3 drops in cold water, mixed well and use as after shave, softens skin, doesn’t burn. . Keep and use over and over. Refresh the house and laundry - 10 drops in water, mixed well, and sprinkle over the carpet. 15 drops to washer during rinse cycle. Comes in Lavender, Rose, Jasmine, Lotus Flower Egyptian Essences scent. You will find the individual descriptions and qualities of these Essences on this page. Enjoy relaxing and rejuvenating effects while your body absorbs the 84 vital nutrients and your skin attains the soft glow of health. Himalayan Crystal Mineral Salts have been used for centuries due to their well known healing properties. Historically, these miraculous salts have been successfully used to aid in the alleviation of many conditions such as severe cases of dry skin, stimulation of circulation, hydration of the skin, to increase moisture retention, promote cellular regeneration, detoxification, and help in the healing of dry, scaling, irritated skin. Salt bath water bathing provides a powerful cleansing and rejuvenating experience for body and soul; and may also help to reduce inflammation of the muscles and joints as well as bring relief from paint and soreness. Not only will your skin feel wonderful, you will be enveloped in the most heavenly scents that will relax and calm your spirit. Exquisite blend of essences including Jasmine, Lavender, Rose, Sandalwood and Blue Lotus. Your skin will feel and look more supple, vibrant, healthy and silky smooth and you will notice it instantly. Can be used liberally on face, arms, legs, body, anywhere you have dry skin. Remember, as in all our essences, there is no chemical, oils, or alcohol added that can cause irritations or reactions that is found in similar products. Available in 2 spray mist sizes. Special Blend of Angel, Main Gate, Lavender and other essences that will help you rest easily through the night and allowing an opening of clearer communication from your spirit, guides, higher self, god source through your dream state. Use this blend faithfully and you should see great improvements. Added results as other users have found, you too may stop needing sleeping pills. Be sure to use the Sweet Dream Prayer to move your vibration for relaxing. Special blend made from a combination of essences including Honeymoon, Love Potion #9 and Secret of the Desert. 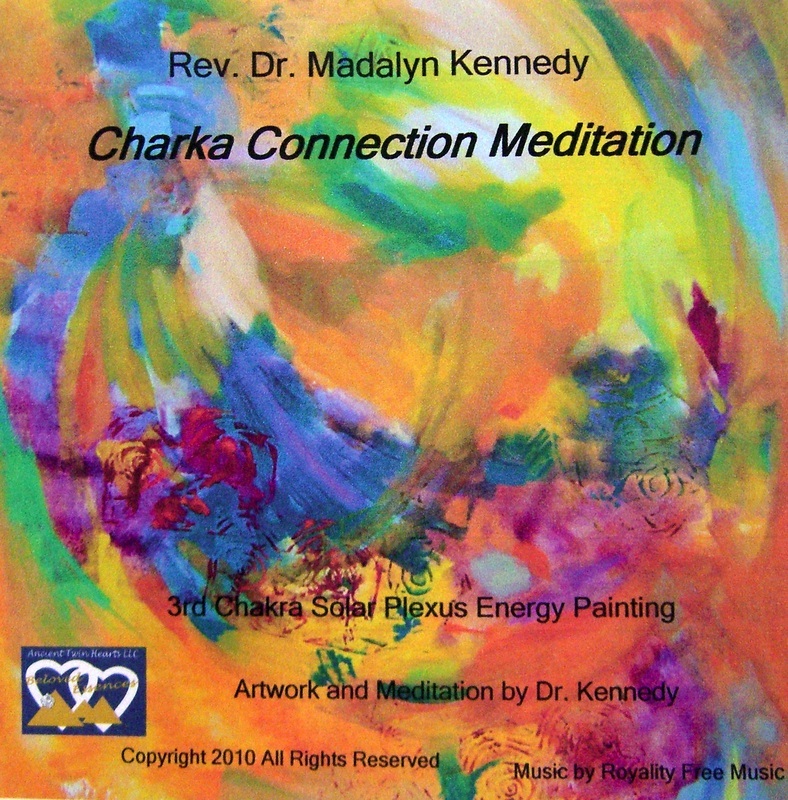 Comes with a special True Love Prayer to help raise your vibrations to send and receive True Love. Very special blend from secret plant, red musk, frankincense, myrrh, and royal amber all working for total protection for you and your home. Can also be used in the shower as well, and sprinkle around the house and burn in a candle burner. Has special prayer. Be sure to use the prayer for Protection to help elevate the vibration. Extremely treasured Essence. Inspirational and Spiritual. Restores depleted energies and raises ones vibrations, improves spiritual connection and helpful with meditation and visualization. Helps to relieve stress and feelings of despair. Used in religious ceremonies for centuries. Known as one of the Holy Oil the Wise men gave to Jesus. Used in skin care for aging and dry skin. Combination of tree, herbs and flowers with a touch of Saffron, Sandalwood, Royal Amber, White Musk and other blends to help you connect with your true self and you higher guidance. Helps to make it easier to hold that connection through the day or the evening as you sleep. Flowers and Vanilla - - Ancient Bedouin girl was in love with boy from another village and they were not allowed to marry. She loved him so much that she promised herself if she could marry him she would make a very special, natural fragrance for her wedding, which she did. Since that time, people still us it today for any marriage, anniversary and celebrations of love. Special blend that helps with love. It's time to tell the secret known through the Middle Eastern culture. The lady uses this in the evening, they say after midnight, to make the man crazy about her. Apply in special places as an upside down triangle and it makes the man amorous for three hours. Known to help with impotence and relieves the worries that smokers have about their abilities. Made from a combination of flowers and trees with a touch of Lily of the Valley, Saffron, Royal Amber, White Musk. Special for romance and falling deeply in love. Wonderful for that special night. Known for centuries as an aphrodisiac. Keeps emotions balanced and help reduce worries and is soothing for the mind. Calming and relaxing releasing tension, anger and nervousness. Helps with circulation and cardiovascular issues. and does wonders for skin and hair. Add to cart will place items in a secure cart provided by Pay Pal. It is a fast and secure way to place your order. Pay Pal accepts credit and debit cards.